Entrapment in Arizona - Can it be Proved in Court? 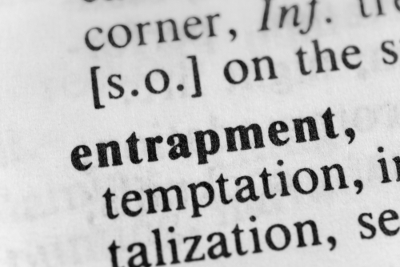 You often hear the term “entrapment” thrown around fairly frequently in the movies, but it actually is a criminal defense that is regularly used. Another line that is often heard in the movies is “you have to tell me if you are a police officer, right?” That statement goes directly to the fear of entrapment from individuals. The line of how far the police can go to arrest the defendant of an alleged crime is not always clear but the law does its best to provide clarity. Entrapment generally speaking is an interaction between police officers and the defendant prior to, or during, the alleged crime.i The typical entrapment scenario occurs when law enforcement officers use coercion and other overbearing tactics to induce someone to commit a crime.ii Entrapment does not always have a clear line that the line must abide by in each case. The facts of every case will determine whether or not entrapment has occurred, or if all of the proper police procedures were taken and abided by. When someone claims they were a victim of entrapment, it will only be considered by the court if the entrapment took place by a police officer or another public official.iii Private individuals are not able entrap individuals under the legal standard. So if one individual convinces his friend to complete a drug deal, and the friend gets caught doing this, the friend will not have a legal argument for entrapment. Now, if an undercover police office convinces a person to complete a drug deal, there could be an entrapment defense brought up. Defendants who have presented evidence that they were induced may not be home free just yet. While there must be inducement under the subjective test, the question of predisposition is usually the more important factor.xxii Once inducement has been raised by the defense, the prosecutor has the burden to prove, beyond a reasonable doubt, that the defendant was predisposed to commit the crime.xxiiiIn other words, the government must demonstrate that the defendant was ready, willing and able—that his will to follow the law was not overcome by the inducement. For example, if the prosecutor can show that the defendant himself had previously proposed similar criminal acts to other people, the defense of entrapment will be extremely difficult to establish. But on the other hand, if the defendant has never engaged in (or even discussed) the proposed criminal act, the prosecutor may fail to establish predisposition. Essentially, when there is inducement and a lack of predisposition, the defendant has established the entrapment defense. While entrapment in the movies seems to be pretty easy to prove, it takes a lot more than just claiming entrapment in the real world for the defense to prevail in court. There is both an objective standard and a subjective standard that courts can apply in order to determine if entrapment took place. There is also the factor that only government officials can entrap an individual for the purposes of the entrapment defense. While it is difficult to prove entrapment in Arizona, it is not impossible. 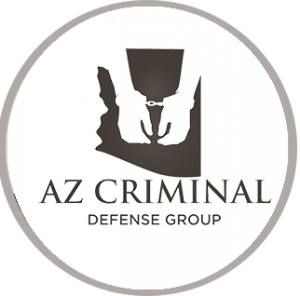 Contact our experienced lawyers to find out more about entrapment in Arizona.